Every person has a specific taste in fashion that reflects in their outfits. Like I'm all about white T-shirts. Whether it is with jeans, skirts or wide-legged trousers; whether it is with prints, stripes or solids, my OOTD will mostly involve a white tee. 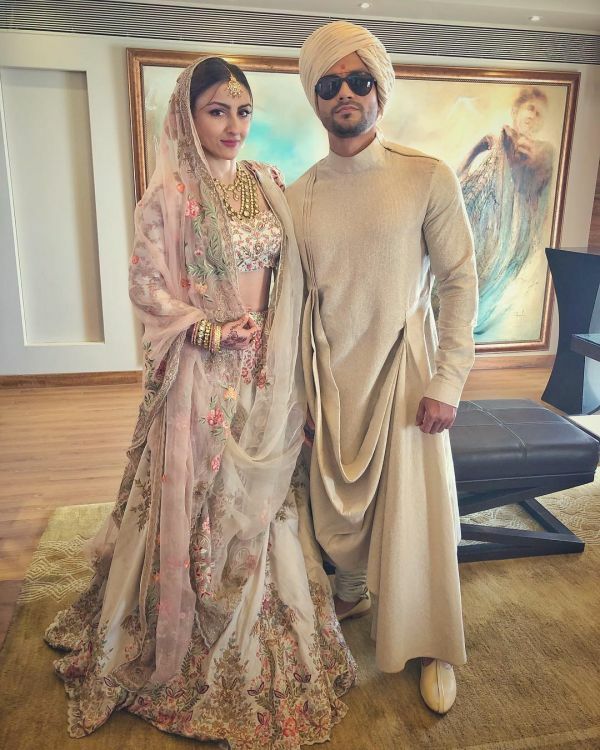 And just like that, our Bollywood birthday girl, Soha Ali Khan, has a similar thing for florals, as is evident from her Instagram profile. 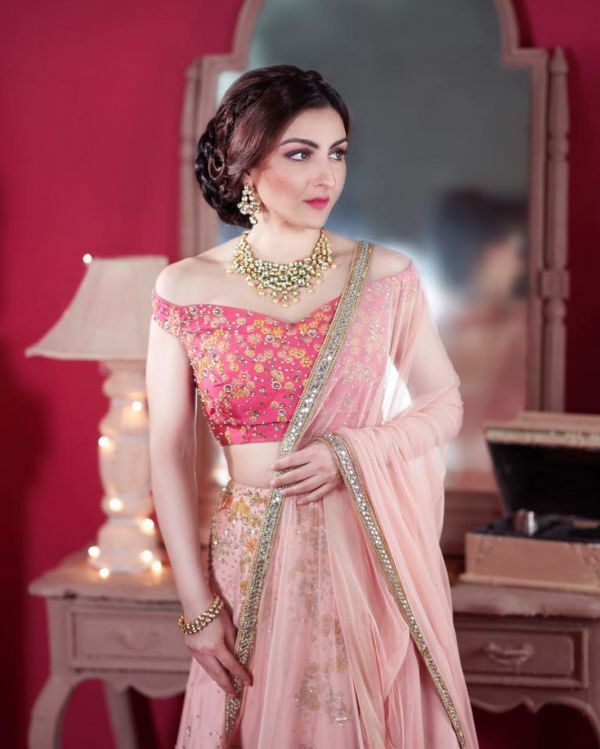 If you are looking for the ultimate floral print inspiration - how to wear the trend, where to wear it - then take cues from Soha and you will be fashionably set for all seasons. It was only last week when Soha's baby girl, Inaaya, turned one. 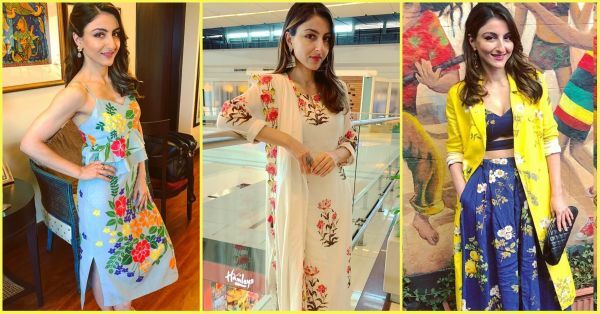 Today, on her 40th birthday, here are our 10 favourite floral print looks that Soha wore, which prove that florals work on any kind of outfit, and for any occasion. Add a bunch of flowers to your suits this season, and bring some Spring into gloomy Autumn. Nothing beats those Monday blues better than a floral printed dress. That, and a brunch date, a strappy dress takes care of it all. Floral doesn't always have to big flowers and leaves. Cash in on the mini floral print trend and make Indian wear even more graceful. All you need is a pretty floral blazer to stylishly survive the in-between weather of October. Soha nails it with a three-piece set and a can-do attitude. A dull gown with a blooming print is what we are putting our money on. This party season, channel your inner Queen with a floor-sweeping floral gown. 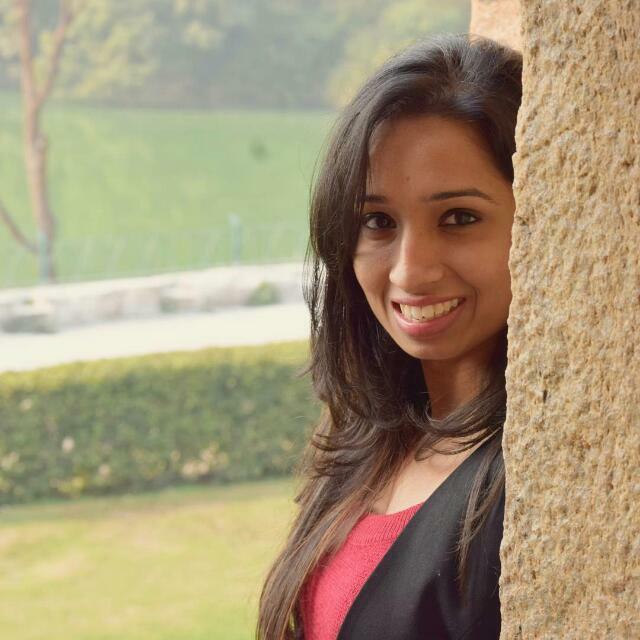 The best thing about Indo-western outfits is that they bring out the best of both worlds. Opt for one in florals and add 'extra' to the ordinary. This wedding season, get your masterji to add floral embroidery to your pastels and revamp your old lehengas stylishly. All over or minimal placement, we are up for all kinds of floral print thanks to Soha. But if placement print is your calling, make sure you choose a brighter hero colour. 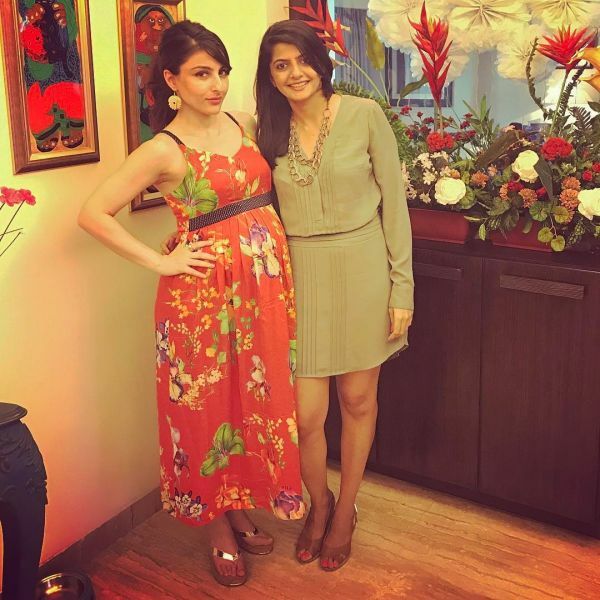 Even Soha's maternity days had a floral touch to them with colourful maxis and shirt dresses. Ah, some floral inspiration just in time for the festivities. Ditch the Gota Patti work for a change and opt for a floral print co-ordinated set. Happy Birthday, Soha. We are almost sure your birthday dress, too, will be a floral frenzy.